On August 20, 1999 a twenty-five year land lease was made with Polk County. This is where the Training Center is still located. We educate private citizens, industry, and professionals on water conservation and wastewater alternatives. 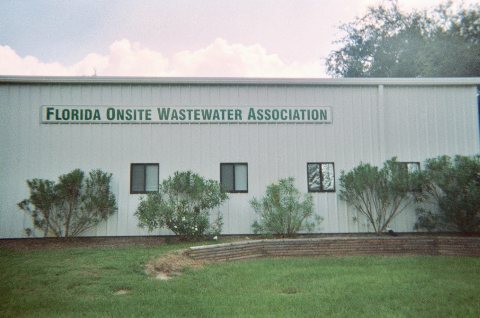 In the early part of 2000 the classroom was set up for the purpose of providing workshops, seminars, conferences, and hands-on training techniques for continuing education to septic tank installers, environmental specialists, state employees, and wastewater professionals in emerging alternative wastewater technologies. Our new Education Building was completed in 2006. We provide a research facility that will promote the use of systems that adequately protect public health and environmental quality. We also showcase a variety of wastewater treatment alternatives. We coordinate and enhance the capabilities of educational institutions to help protect public health and maintain a sustainable environment by advancing research and development, education and training for wastewater management. We promote technologies with reduced construction costs, lower energy consumption, and positive treatment methods.